I didn't like Man of Steel. Rather, I'm talking about Zack Snyder's 2013 film that endeavored to reintroduce Krypton's Last Son to modern audiences. I liked the trailers and I even was excited enough to attend a midnight screening of the movie. I started out really enjoying the scenes that took place on Krypton, displaying the conflict between Superman's father Jor-El (Russell Crowe) and General Zod (Michael Shannon). 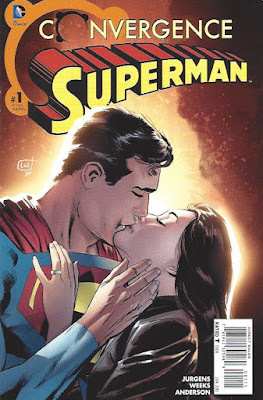 But the Superman of this narrative contrasts starkly with the version I know and have enjoyed for the last few decades. Gone was the optimism that's often encircled the character, replaced by cynicism at best and pervasive xenophobia at worst. (I shouldn't have been surprised, as executive producer Christopher Nolan always was more at home in Gotham than Metropolis.) Add in enough property devastation to make even Michael Bay blush, and I might have considerable pause. But then--then--give Superman, the very same guy who always, always finds a way to win, an unwinnable situation where the narrative forces him to kill Zod. I checked out like Mark Waid (a writer whose work on Superman: Birthright and other tales I enjoyed). So when DC announced the "sequel" to Man of Steel would be a battle with the Darkknight Detective himself, as a pitstop between the original and a Justice League movie, I should've known better. When I saw the film back in March, I dismissed it as an unmitigated disaster that got so, so much wrong about both lead characters as well as the villains of the piece. 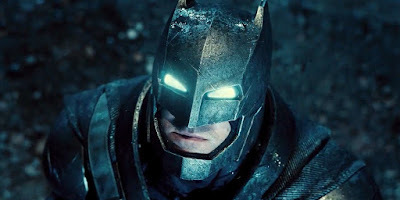 Batman (Ben Affleck) saw everything in terms of absolute good or absolute evil and was a frequent accessory to murder (with the bat-brands on criminals he caught serving as, essentially, a death sentence). 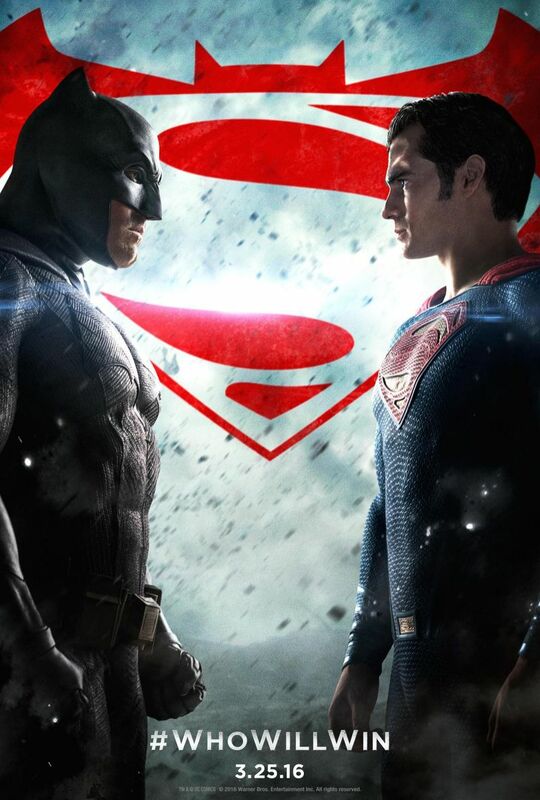 Superman (HEnry Cavill) was a man of few words, and those he did say he growled in ways more accustomed to Batman. Lex Luthor Jr. (Jesse Eisenberg, horrendously miscast) was just a lunatic. And Doomsday could fly, shoot heat rays out of his eyes, and explode over and over again like a bomb because, well, I'm not quite sure why. The narrative was a mess, the characters were a mess, and by the time Superman died in the final battle, I was nauseatingly numb. Of course, like a fool I decided I absolutely needed to watch the "Ultimate Cut" released on July 19. Could the additional 30 minutes of footage turn my opinion of the film around? Putting aside the fact that an R-rated version of a Superman movie shouldn't even by rights exist, I watched. The verdict? 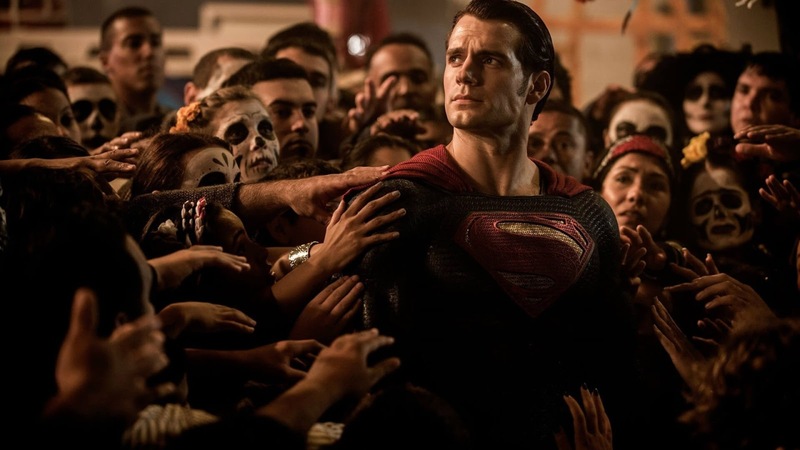 Although the film is still deeply flawed and especially wrongheaded in its treatment of Superman, the Ultimate Cut is a leap forward when compared to its theatrical predecessor. Others have given more thorough reviews of the films as a set, so I won't go into much detail. The strongest bit re-inserted into this film is the lengths to which Luthor went to manipulate the characters, from Superman and Batman on down to Senator Finch (Holly Hunter), Wallace Keefe (Scoot McNairy) and Kahina Ziri (Wunmi Mosaku), the latter of whom has the most expanded role. What could have been believed as too many coincidences in the theatrical version is spelled out as Luthor's machinations in this version. Granted, very few of the additional scenes actually involve Eisenberg's Luthor himself, so there's an even greater disconnect between the actor's portrayal and what we know the character has done. But putting forth the idea that Luthor knew who Batman and Superman really were from the beginning puts everything in perspective, just as making him direct prisoners to kill other prisoners with bat-symbols exonerates Batman in a way, and makes the opening sequence and the bullet sub-plot have a more sensible connection to Superman. However, there are things besides Luthor that remain problematic or become even more so as result of the added footage. Batman's visions of an "Apokoliptic" future and the cameos of all Justice League members still stick out like sore thumbs. The explosion at the Capitol Building gets a bit of a tradeoff, as we find out Keefe's wheelchair was lined with lead which prevented Superman from seeing the bomb. However, nothing in this film or Man of Steel shows why Luthor would have any knowledge of this particular weakness of Superman's. (Filmmaking 101: Set 'em up and knock 'em down.) And Snyder really, really doubled down on the bleakness and carnage of the prior film's denouement, using it to form his basis of this one. The biggest problems of the movie are still, sadly, the biggest problems. Batman still reacts nuttily toward Superman's exclamation that they're going to kill Martha, and Doomsday is still a big gray deus ex machina meant to give all three protagonists something to punch and hit since Luthor's body can't take that kind of punishment. But what was worst of all was the entire sub-plot making Superman out to be some kind of god being worshiped by the people of the world. True, he never actively encouraged any of them, but he never discouraged them, either. Snyder takes pains to dismantle the myth, at least in Batman's eyes, by making him see that he's not a god--that he's just a man, in the "Martha" scene, and then impresses it upon everyone else in the story by having Doomsday kill him at the end. He can die just like the rest of us! O, sad day! This is all well and good, of course, so long as you don't consider that, in order for Superman to appear in Justice League, he's going to need to be restored to life. And, if you think the huddled masses were going ga-ga over Superman before, just wait until they see that Christ parallel in action! The very direction of the narrative decimates any statement Snyder (or screenwriters Terrio and Goyer) attempts to make. So, Batman v. Superman: Dawn of Justice has a better version in the Ultimate Cut; however, there's still much to overcome. Seeing this cut gives me a little hope in Justice League. Maybe, at the very least, they'll resurrect Superman with the ability to smile, laugh, and see the best in people? After all, Henry Cavill has really looked the part in these last two films, and I know from films like The Man From U.N.C.L.E. that he's got charisma to spare. So why not let him, you know, actually use it? A Delusional Flashback: The Hulk Is Dead, Long Live...John Byrne's Hulk? I thought it might be a good time to throw a new spotlight on another time the Hulk was threatened with death...by acclaimed writer/artist John Byrne! If you haven't read the below articles, well...they're new to you! Delusional Honesty will return later this week, with a long-delayed review of Batman V. Superman: Dawn of Justice. It's been about a year since my last post on Marvel's Green Goliath. 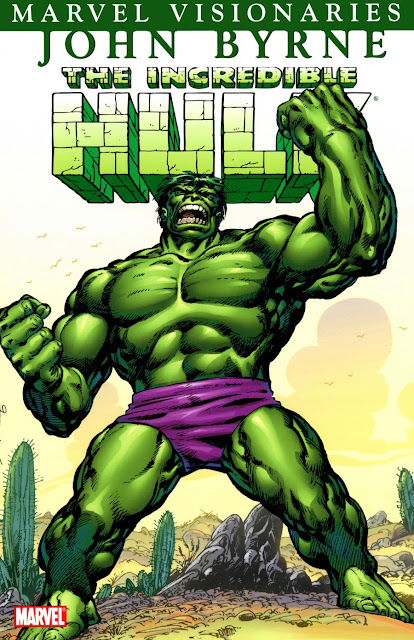 Those of you who have followed me for any considerable time know the Hulk is my favorite comics character. Hence, I'm a bit territorial when it comes to big events surrounding Big Green. And when I'm displeased, I'm known to write pieces like those dissecting the runs of Jason Aaron and Mark Waid. 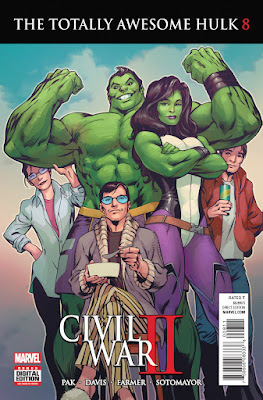 Up to now, I've been staying eerily quiet about Totally Awesome Hulk. That ends today. I've got much more to get into than Totally Awesome Hulk by itself, so I'll try to be brief. For Greg Pak--one of my very favorite Hulk writers, his name spoken in the same breath as Len Wein, Bill Mantlo & Peter David--to have a comeback would ordinarily be a cause for celebration. At the same time, there was apprehension, for what writer successfully returns to the book on which he made his mark? Even Peter David couldn't make lightning strike twice, leaving not even a year into his second tenure. 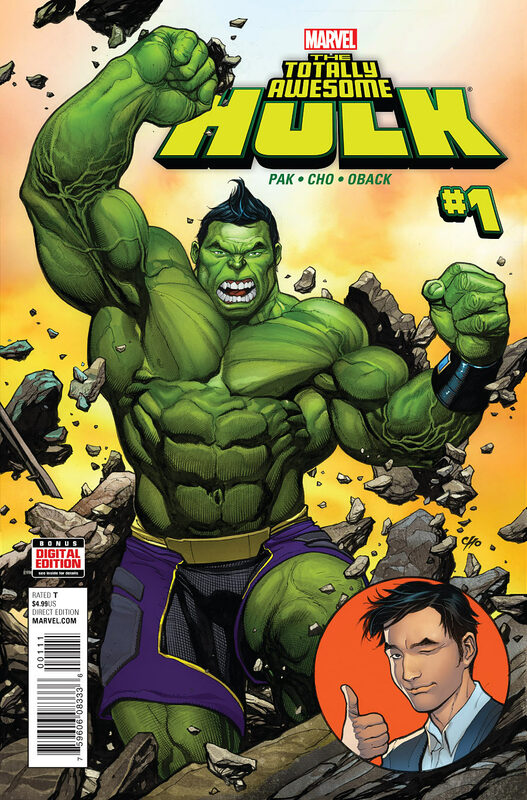 It was true that this time, Pak was making his own creation, Amadeus Cho, into a brand new Hulk, in a move that I previously stated echoed Bill Mantlo's original plans before he handed the book to John Byrne. Some at the time called it a Gary Stu situation (look it up) beyond all others. Me, I went along for the ride, as Pak had earned much goodwill in his prior five-year run. 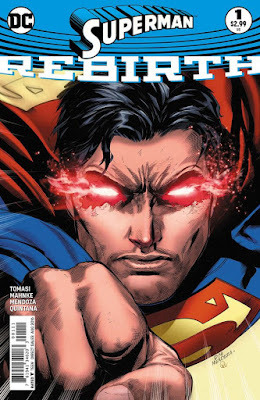 Of Spider-Clones and Supermen: Why "Superman: Rebirth" Is the New "Clone Saga"
Ever since hearing that DC Comics was going to kill off the "New 52" Superman and replace him with the recently-returned "Pre-Crisis" version who disappeared nearly 5 years ago, something's been scratching at the back of my head. And now that we're three full issues into the Pre-Crisis Superman taking over for NuSupes, I can finally put my finger on the feeling. It's one I last had about two decades ago. So writer Terry Kavanagh dusted off The Amazing Spider-Man #150, coda to a storyline wherein the villainous Jackal cloned both Spidey himself and his alter ego's late girlfriend, Gwen Stacy. Spidey threw away a report on whether he was really the clone because of, essentially, a gut instinct. The question became, "What if the Spider-Man fans had been reading since 1975 was really the Spider-Clone?" Writers like John Marc DeMatteis (one of my idols) became inspired, and suddenly the dead clone nobody thought twice about returned to life--and a co-starring role in all of Marvel's Spider-Man series for the better part of two years. He became Ben Reilly (so named after Peter Parker's uncle Ben, with his last name the same as Aunt May's maiden name Reilly) and Spider-Man's life would never be the same again! I read the Clone Saga when it originally came out. 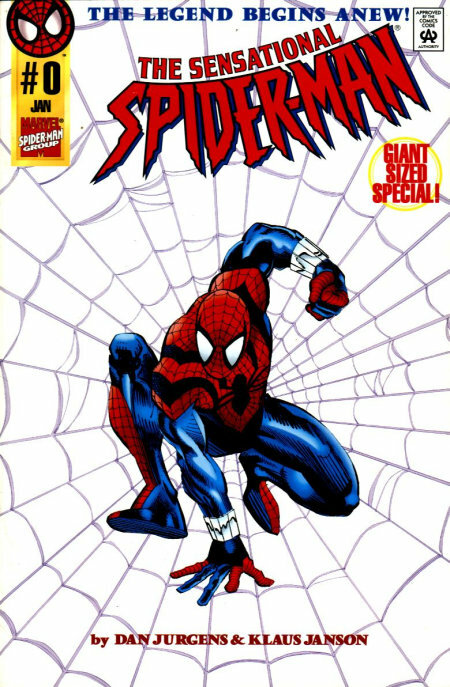 One of my friends in the fledgling days of Internet fandom--the inimitable DRILLN0T--helped me write "The Spider-Man/Jackal Dossier," an ungodly tome that consolidated and promulgated fan theories and unresolved facets of the storyline. So yes, I'm kind of well-versed in the storyline and count it as one of the high points of my collecting. But DC? This last week returned a skosh of the goodwill they squandered over the last year. And the next several weeks will either validate that early feeling or maybe just sour me the rest of the way. 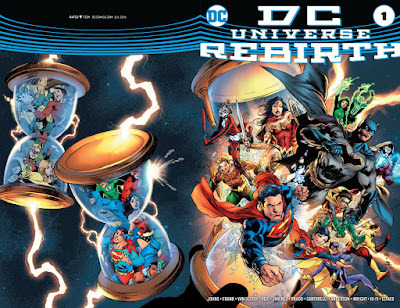 Of course, I'm talking about DC Universe Rebirth #1, the book that officially pulls back the curtain on the DCU of old and turns the trickle of old DCU carryovers into a veritable flood. Sure, a few characters like Batman and Green Lantern kept the majority of their continuity thanks to writers with long-term projects (Grant Morrison on the former, Rebirth scribe Geoff Johns on the latter). But it wasn't until Convergence with its undoing of Crisis On Infinite Earths that the ripple effect began in earnest. Maybe the single book I was happiest about in 2015. Happy irony! When last I wrote, I was having a little crisis regarding my comic book buying habits. I developed a severe lack of faith in the output of the Big Two in 2015, exacerbated by line-wide events like Convergence at DC Comics and Secret Wars (what, again?) at Marvel. Looking at some articles out there from not only fans but also some retailers, it appears I'm not alone in my trepidation. One thing the market hates is uncertainty, and in 2015 the Big Two gave it to retailers and readers alike in spades. With a spate of regular series, retailers can base their orders on their regular customers and their buying habits, forecasting here and there for "new" series based on the performance of other, similar books. With a two-month-long event like Convergence, there's a degree more of uncertainty because the entire regular lineup is replaced by forty two-issue miniseries anchored by a 9-issue event series. And because Marvel must take every idea DC has and shoot it full of Gamma Rays to do it "better," they anchored a staggering 42 miniseries of indeterminate length (upon early solicitations), as well as several issues of 10 ongoing series, to their own 9, then 10-issue event series. So, to recap: we've got big event miniseries, which usually sell gangbusters. But what happens when you tie them to countless miniseries instead of the traditional issues of ongoing series? Remember the theory to using events and crossovers in the first place: namely, to prop up flagging sales of series by tying them--unnecessarily, even--to said event. But how do retailers even begin to determine orders when juggling an event with a whole bunch of new #1 issues for series of unknown length, with no real corollaries to existing series? Danger, Will Robinson! Danger! Danger!